Nivea broke off her engagement from Lil Wayne on June 10, 2010. They had been engaged for 1.3 years. Nivea is currently dating Shun. Where and/or how did Nivea and Lil Wayne meet? Why did Nivea and Lil Wayne break up? 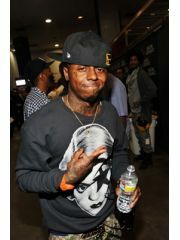 While Wayne and Nivea were engaged, he started a relationship with his young money artist, Shenelle. wayne and nivea had been off and on since 2003.